If you’re interested in losing weight, you’ve probably heard someone mention losing water weight. 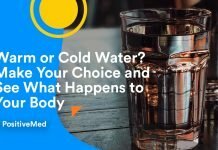 While this seems like a quick and easy way to drop a few pounds, what is water weight, exactly, and is it healthy to lose water weight when you need to shed a few pounds? 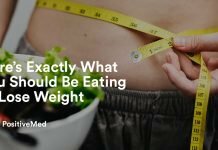 According to Discover Good Nutrition, water weight is what is usually responsible for a sudden weight gain, especially if you wake up in the morning and are three pounds heavier. 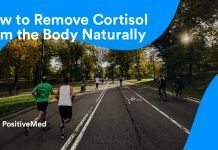 For healthy individuals, this process is considered normal. The body’s fluid levels fluctuate naturally, many times based on what was eaten the day before or how hormone levels are fluctuating. Too much sodium in your diet: The body uses water to dilute sodium intake, so eating a lot of salty food will dump water into the bloodstream. This means the body holds on to water to help balance the sodium, usually giving a bloated feeling the next day. 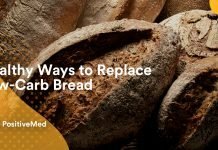 Too many refined carbohydrates in your diet: A big meal of refined carbohydrates, like pasta, can cause insulin levels in the body to rise, which can also trigger a sodium imbalance and encourage water retention. Hormone levels have changed: The ability to lose water weight decreases as hormone levels change within the body. This is particularly true for those who tend to hold on to water weight as they near their monthly cycles. There are a number of medical conditions that can cause fluid retention though these are not situations where you simply need to lose water weight. Fluid gain as the result of a disease process is a serious issue and requires medical attention. If you are consistently putting on water weight, without any fluctuation, seek medical advice immediately. Thankfully, because it is possible to predict what will cause water weight, it is possible to lose water weight effectively. Eat bananas for potassium, which helps reduce water retention. Use ice packs to help reduce water retention in extremities. Look for natural diuretics, which encourage water shedding, like cranberries. Drink plenty of water to help your body realize it does not need to store excess fluid. Take vitamins A and C, which help reduce water retention. Avoid sitting with your legs crossed which inhibits circulation and can damage capillaries, causing fluid leakage. Do not wear tight clothing which restricts natural fluid movement in the body. Exercise regularly to keep your circulatory system healthy and promote the lose of water weight. Oh, and those sauna suits which encourage the loss of water weight through sweat? Skip them. 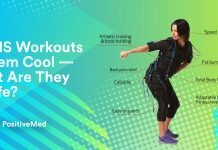 While exercise will help you feel better and will help encourage fluid movement, the goal is not to lose water weight through sweat. Sitting in a sauna specifically to sweat off excess pounds can cause dehydration, and dehydration will actually cause the body to retain fluids rather than shed them. Often, simple adjustments like eliminating salt intake can make a significant difference in water weight in just a day. Previous articleThis Brilliant 15-Year-Old Wows M.I.T.